Your garage door has springs, which are like a pulley. The spring keeps the doors in place while they are going up and down. 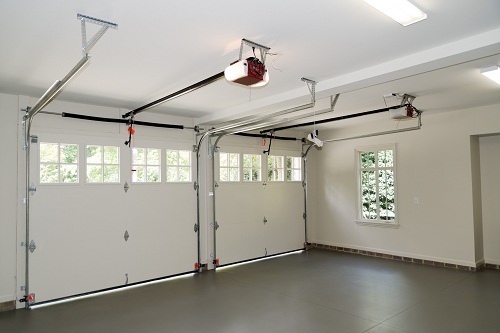 Garage Door Repair Orlando is familiar with the problems that a broken spring can cause. The damage can be limited or minimized by having a spring safety cable attached to the springs. They are connected to the same support feature that the spring is attached to. If your springs are worn down and you do not now it, the end result is that the springs will break. If you do not have the control offered by the safety cables, the doors will all down and can cause severe damage to whatever is in its way. If the springs should break on your door, you stand the chance of your car being damaged from the force of the door falling down. Even worse, you or anyone in the path of the doors when they fall down will be seriously harmed. The doors are extremely heavy and can cause serious harm. When our service technicians install or service your safety cables, you can be sure that they will take the necessary precautions to ensure their safety and that of anyone around. Since this process can be dangerous to anyone without the necessary experience, only allow our service technicians to service your springs and cables. The bills associated with an unfortunate incident involving your doors may be more expensive than simply calling on us to service your cables and springs. If safety is important to you, make it your priority. This may involve you allowing our professional team to handle any installation and repairs you may need. With the training and experience of our skilled service technicians, we are able to provide you with all of the help that you need. When your safety becomes a priority, you will make sure your garage doors are routinely checked to avoid harm and injury. There are a series of test and evaluations that will be performed to determine the condition of your doors. This is important for us to determine how we can make sure you are safe when you are using your garage. Another option is to allow us to handle the maintenance of your doors. This involves a thorough inspection of your entire door, from top to bottom. In addition to checking your safety cables, we’ll check to make sure your springs are not worn, that components are properly lubricated, doors are well balanced and other safety features are properly working. All of this can be done in one day. Once we have completed the maintenance work, we will advise homeowners of the work that needs to be completed and the order in which the work should be performed. We are usually able to handle all of the work on the same day. We always offer a service guarantee to all of our customers.